We were supposed to do this Sunday but were iced out by a winter storm so we just waited to do it in our Wednesday service. As I was using ALL of the ingredients and placing them in the bowl, I ran into a problem: the brown sugar had solidified and was as hard as a rock. I could not do a thing with it! It was right then that I realized the terror of improvisation and the power of Jesus at the same timeJ Eventually we got some useable brown sugar and continued with the illustration. We got through it all but it got really "hot" up there in front of the church! Sometimes our life is well planned and we do a great job of organizing and getting ourselves prepared. But you can never know everything that could happen. This “brick” of sugar in my illustrated sermon could represent a hardhearted person or someone that is extremely difficult in your church or office. It may be hard for you to see any way to get them “mixed thoroughly” into the pack and valuable to the final product you are attempting to create. What do you do? You pray and trust the Lord and eventually, God will soften their heart by filling your heart with love and compassion. In the end things just have a way of coming together. If its not coming together, it’s not the end. So just stay faithful and consistent and know that God has recipe He is making with your life. He wants to use ALL of you, and surround you with many other people(ingredients). Romans 8:28 tells us that He takes all of us and mixes us together to create something good, something lovely, something tasty, just like my chocolate chip cookie. Let the "heat" shape you into that person with the mind of Christ, fearfully and wonderfully made today! ** Get your own "signed" copy of Joe's newest book Christmas Cookies: Edible Treats for Your Body and Soul. 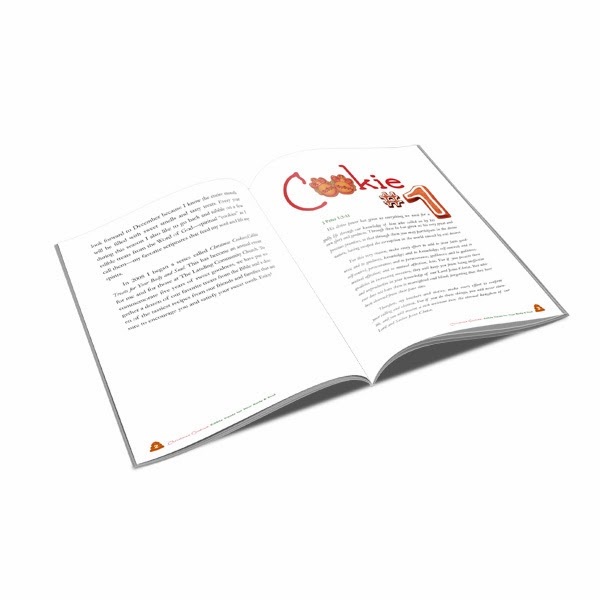 This book features 12 delicious cookie recipes and 12 of his favorite scripture teachings which you can use in your devotions or small group study. Call 918-321-2300 and get it before Christmas!